Get Your Car or Truck Transport From Miami To Tampa now! In Nationwide Auto Transportation we can ship your car or truck quick and easy and the most important for affordable cost, the reason we can offer the best rate is because we have a truck going between Miami To Tampa every other day and when you ship your car with other car you can save a lot of money your cost to drive the car will be higher than what you going to pay for us we also work on loading the car from Tampa to Miami Transport and by doing that are driver never drive back empty so you pay only for one way transport. 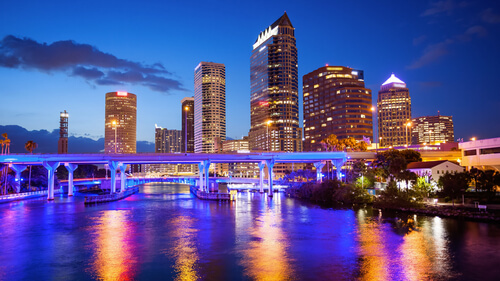 Why You need Car Transportation From Miami, FL To Tampa, FL with NAT? Please do not place any personal items in your vehicle which you wish to ship because of safety reasons. There is no insurance for these items during transport, but the DOT has its own regulations. The DOT can fine a transporter $10,000 if found to be carrying household goods. Moving companies have a license to move household goods. You cannot transfer firearms, hazardous materials, or illegal contraband at any time because of safety concerns. Place the shipment order in advance because it will save you from hassles. If you do this, there will be no delay. As a result there will be no delay in picking up and delivery. To know more about Car Transportation From Miami, FL To Tampa, FL, give us a call right away. You can shop around and call us back but we guaranty your best rate and customer service to ship your car from Miami to Tampa so call us now or fill the form to the right to get your free quote.